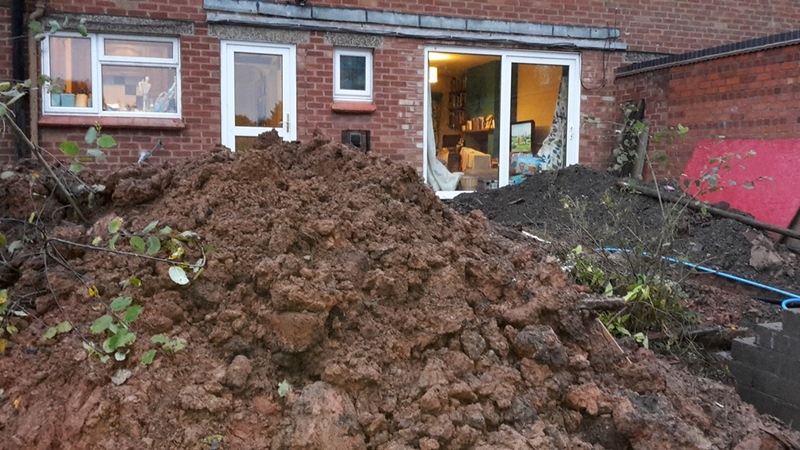 An English Homestead: More Mud! Sunday was mental. 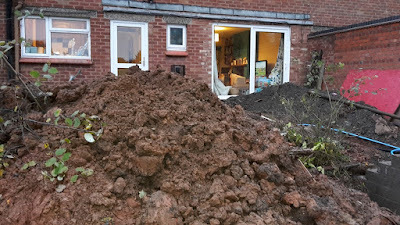 My dad and brother came over, it was a long hard day, we were all covered in mud in the end, but we got a lot done! Cables and pipes all safely under ground and lots of things ready for the future as well. 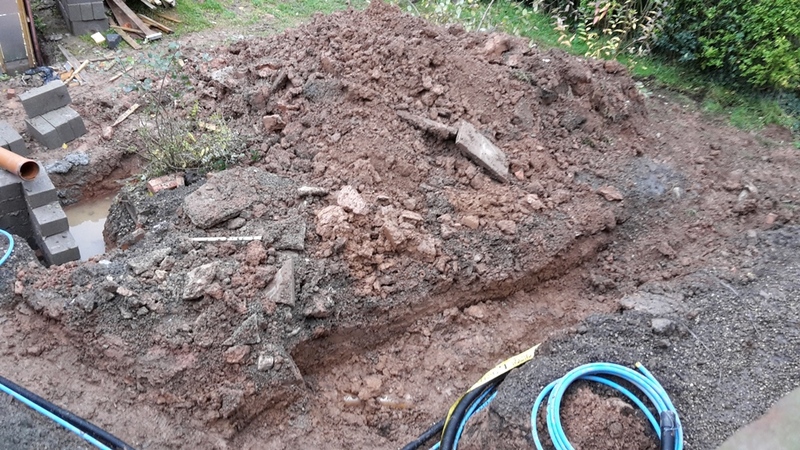 We also had the right equipment which makes a big difference. More patio going. 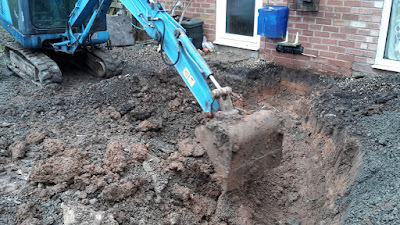 This time for a man hole as well, ready for the extension. This is 90cm deep. Pretty nifty! Robocut - the machine that made things a bit easier. 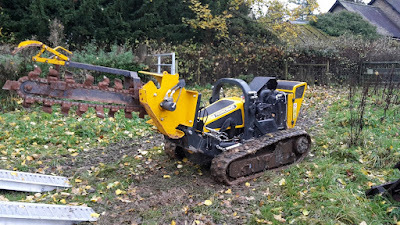 A radio controlled trencher. An amazing bit of kit! Laying ducting for cables ready for the telegraph pole to be moved later in the year. 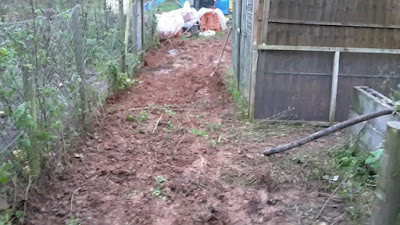 The way to the chickens is a bit muddier than it was! View from the upstairs window! More to come this weekend on this project! Wellies only! Love the Robocut. It's great that you have a great family to help you Kev. 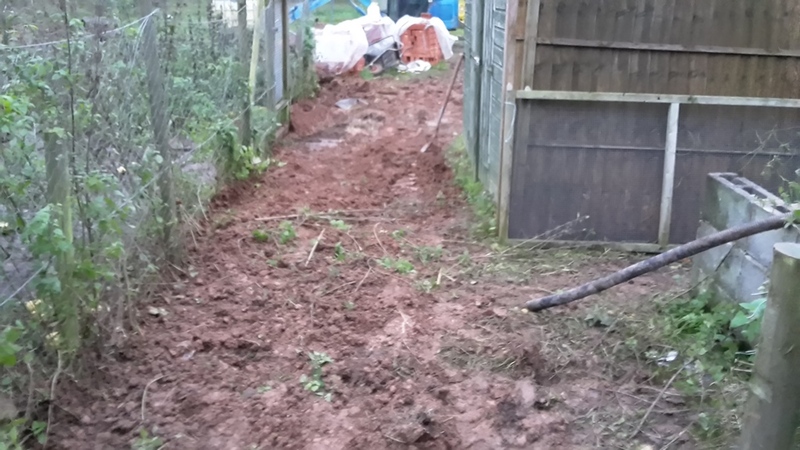 You get tired of struggling on your own on a smallholding. 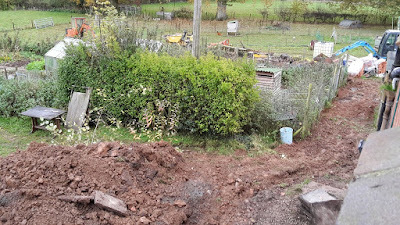 I am in the middle of concreting the farmyard with just an electric cement mixer. It's hard work! They are a great help, I'd be lost without them. Even just having a group of people to phone for advice when you're doing a project is great. I've got a great group of friends as well with a good skill range which is great for advice on all I'm trynig to do. Yeah, it look dangerous! I'm think it's like out of robot wars! Looks like a fun day with power equipment. Who doesn't like a mini excavator? What you call a Robocut we over here call a Ditch-Witch. The robocut si radio controled and comes with a range of attachments, you should see it in action! The right kit makes the job so much easier, although it was still a ahard day. Kev you lucky sod, that equipment it amazing! It certainly helps, but having family that knows how to use it is just as important! LOL, No deal I'm afraid! I could really have done with that Robocut recently. 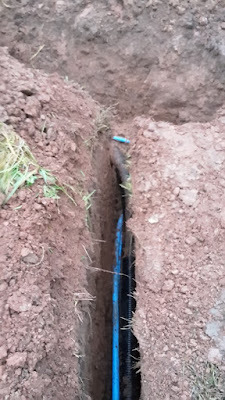 We laid an underground phone cable in one direction, and an underground internet cable in another. 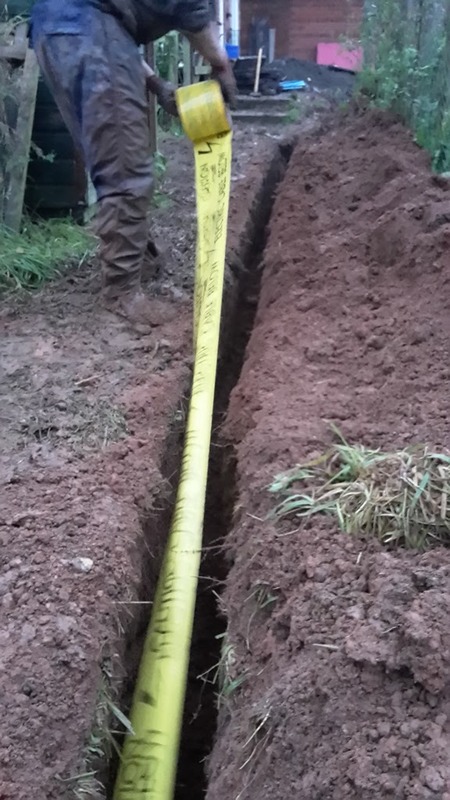 Both were about 200 metres long. That machine would have saved us several hours. 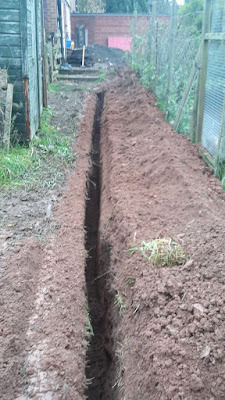 It would save you loads, it digs it so cleanly and is so easy to fill back in as there is no lumps. It sure was muddy, I was covered by the end! The right machine for the right job! Ya gotta love 'em. All those big jobs have to go through such an ugly-bugly stage before turning into what we want them to be. In the end, it's worth it . . . if we can only hold on until then! You sure aren't messing around. Looks like a major evolution there, Kev. Mama Pea - the right tool help no end, I think it saved us days of work really! Harry - I was thinking what the old boys who built this place would be saying! It's certainly going to change a lot over the next few years (and the last few as well!). Jobs worth doing, gotta do it right!